You may as well admit it. You’ve always wanted to travel in Europe, whether or not you’ve already done so. And even if you’ve traveled there many times, you yearn to go back—-again and again. For as long as there’s been an America, Americans have been drawn back to Europe. Whether this yearning to return is because many of our ancestors came from Europe… Or because Europe has such a deep, rich and long-ranging history, much of it still there to wander around in… Or because it has amazing food and wine, to be experienced at charming restaurants, sitting at tables canopied by colorful umbrellas, and surrounded by flowers… Or because it has brought together awe-inspiring art and music and culture, and made it readily accessible for all to experience… Or because it is traversed by marvelous networks of transportation – trains and boats, trams and gondolas – making it possible to go virtually anywhere at any time from anywhere else, and to enjoy the going as much as the arriving… For all these reasons, the urge to “cross the pond” is strong. And the possibilities once you get there are extensive. Travel to Europe provides experiences and memories to last a lifetime. The temptation, given the immense number of possibilities, is to make a whirlwind tour, jumping from country to country and place to place. Or, even worse, to hand over the reins of your trip and sign up for a group trip, either at whirlwind speed, or at a more modest pace, but in either case letting someone else be the decider about where you will go, what you will see, when and how. Avoid these styles of travel. Instead plan to travel independently, but with a well-designed plan, using a Great Trip guidebook to know exactly how to plan, arrange, prepare for and make your trip. At a bare minimum, give yourself these five crucial, rejuvenating independent trips abroad, one each year. On this unforgettable trip, you will fly into Paris and journey immediately by train to the charming medieval village of Amboise in the Eastern Loire Valley, your first home base, and your jumping off point for visiting five Châteaux, including the final home of Leonardo da Vinci. From there, you will travel, again by train, to Mont St. Michel, where you will stay out on the Mont like the monks of old, with the water surrounding you at high tide, then receding entirely at low tide — racing in and out at the speed of a galloping horse. Next, you will take another train to the small town of Bayeux, your home-base for exploring the tales and memories of the conquests and liberations that have taken place from and to this precipitous coastline… from William the Conqueror in the 11th century to the Allied troops in the 20th. Then on to Paris for four glorious days (and nights!) on the left bank, where you will travel the Seine by Batobus (“Boat Bus”) to visit the art and architecture, cathedrals and gardens, markets and cafés. After flying into Florence, you will travel by train to the coast for four days in Monterosso, clinging to the rocks along the Ligurian Sea, one of five gloriously lovely towns of Cinque Terre. Here you will take up lodging near the water, and travel about among the villages by boat. Then on to Florence, where you will take up residence on the left bank of the Arno River, near the Ponte Vecchio and learn “your neighborhood” for the next eight days. Prepare to be awed. There is nothing you have experienced so far in your life like standing before the Duomo for the first time, or gazing in wonder at Michelangelo’s David. 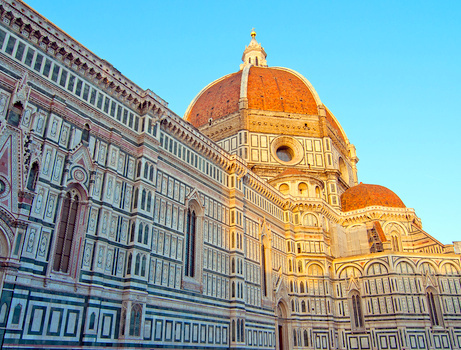 While in Florence, you will have time to devote to art and cathedrals, sculpture and science, as well as markets and shops, outdoor dining and evening music on the squares… and gelato. From Florence, you will venture out on day trips to Cortona and San Gimignano, captivating hill towns of Tuscany that date back to the Etruscans. Then on by train to Venice for three days, and exiting the train station to the cacophony of vaporetti and water taxis queued up to transport you along the canals to the stop closest to your hotel. This entirely unique city is another incomparable destination that will etch itself in your memory forever. In anticipation of traveling to the Alps, and their lakes, picture the breathtaking scenes from Sound of Music. After flying into Geneva, you will board one of the impeccable trains of the Swiss rail system and travel to Lausanne on the far side of Lake Geneva, home to the International Olympic Committee, where you will be staying for three days. The funicular next to the train station will carry you up to the old town or down to the lakefront, where you will be staying while you explore the charms of this Swiss town. From Lausanne you will venture out by boat on day trips to the nearby town of Montreux, known for its Jazz Festival, and the legendary Castle of Chillon. After Lausanne you will take a train to Lucerne, another storybook lakeside town, and your home for the next two days. Here you will be able to walk across the lake using a flower-bedecked covered bridge dating back to the 14th century, and walk the stone streets of old town, with brightly colored timber-framed buildings and little squares with fountains at their centers. From Lucerne, you will be back on the train, changing to a different gauge train for the climb up to rustic Zermatt for two days, at the foot of the Matterhorn. Here you will be transported about town by small electric vehicles, or by foot, and carried high up into the mountains using a far-ranging network of gondolas. One of these gondolas will take you up over the Alps and into Italy for lunch with a stunning view. 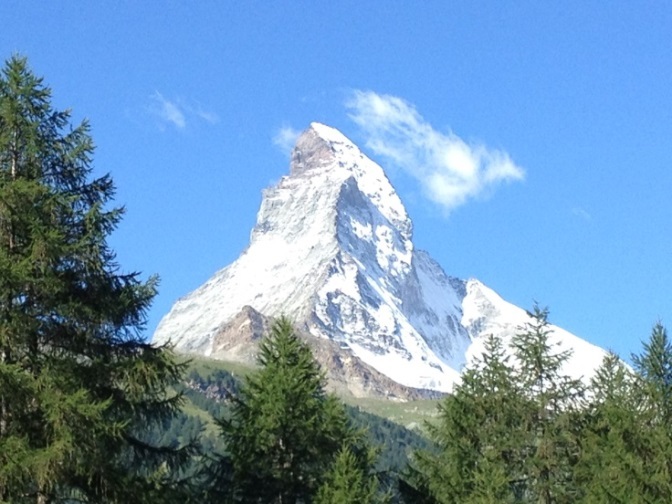 From Zermatt you will travel via the famed Glacier Express to St. Moritz for three days, a beautiful and hospitable showplace that has its own lovely lake, with its own towering Alps in the background, and all the “ooh and aah” views that go with them. Continuing from St. Moritz by train, you will take the Bernina Express through the breathtaking Bernina Pass, traveling south across the Alps, then shifting from high Alpine scenery to palm trees. Next it will be on to Varenna, Italy where you will delight in five matchless days living along the breathtaking shores of Lake Como, traveling about by boat from one lake-side village to another. This is another entirely exceptional haven that you will love immediately and want to return to again. On this trip, you will divide your time, with five days each in three of the most extraordinary cities in the world, London, Paris and Amsterdam, each entirely distinct from the others. In London you will stay in a flat or hotel near Covent Garden, and learn “your neighborhood.” This will put you within a short walk of the Theater District (and the discount ticket booth at Leicester Square). So you will be able to take in two (or, better yet, three) superb London theater performances, with at least one of them performed at the rebuilt Globe Theater that harkens back to bawdiness of Shakespeare’s days. At Covent Garden, you will delight in the ongoing troops of open-air performers–mimes and musicians, acrobats and jugglers–as well as the shops and stalls with every conceivable offering of craft and art, adornment and style. There will be time to explore the priceless collections of art in the museums, some of it created by British artists, but much of it appropriated from countries and cultures around the world. You will stand in awe before the magnificent Cathedrals of Westminster and St. Paul’s, then sit inside to soak in the peace, and possibly take in an organ performance. And you will travel the Thames, taking the London River Bus south to Greenwich, then north to Hampton Court Palace. From London, you will travel by Eurostar to Paris, where you will immerse yourself for five days in the delights and senses, art and architecture, gardens and music of this remarkable city. Last you will move on to Amsterdam for five days, a feast of canals and canal houses, art and history, museums and music, outdoor cafés and markets. From Amsterdam, you will venture out to small neighboring towns with familiar names like Delft and Gouda. Your time in Amsterdam will fly by in a mirage of sights and sounds, stories and experiences, and priceless encounters with the affable Dutch. After landing in Paris, you will hop aboard the TGV (“Train a Grande Vitesse”—“train of great speed”), where you will doze away your jetlag in comfort while you traverse France at 200 mph in a little over three hours. But then, when the sparkling azure waters of the Mediterranean first burst into sight, you will snap into focus, and your train will slow to hug the coastline on its way to Nice for three nights. After Nice, you will move on by train to spend three nights in the enchanting small coastal town of Cassis, with its immaculate white stone market square, and its boat rides out to see the Calanques-towering limestone cliffs, rising straight up out of the Mediterranean Sea to heights approaching 2,000 feet. Leaving Cassis, you will make your way back along the coast to Provence for three nights in the walled city of Avignon. Once the second city of the Popes, Avignon has its own “Pope’s Palace” and Cathedral, as well as its bridge of childhood song, pedestrian streets, and vast open squares, surrounded by cafés and restaurants and lined with trees. Then you will travel north until you reach the French Alps, where you will spend three nights in lovely Chamonix-Mont-Blanc, site of the first Winter Olympics in 1924 (elevation 3,320 – 15,780 feet). From high up in Chamonix, you will descend to Annecy for three nights, sometimes called the “Venice of the Alps” for its two canals and the Thiou river flowing through the old city. In this enticing town beside a stunning glacial lake, with its glorious backdrop of mountains, you will walk the narrow cobbled streets of Old Town and travel by boat or by bicycle to other small towns bordering the lake. Where will you begin? When? Could you manage to take them independently? Should you? Can you afford to go? Can you afford not to? Taking these questions in order… Where will you begin? Start with Trip #1: Fabled France. When? Plan to take this trip next year at the latest. Then take another trip each year from that point on (or, at the very least, one every two years). Could you take these trips independently? And should you? Yes, you most definitely could manage to take them independently, and, yes, you should. Use a Great Trip to France guidebook to know exactly how to plan, arrange, prepare for and make each trip. Each book in the Great Trips series carries you fully through every stage and detail of the trip, from planning and preparing, to making arrangements and booking planes, trains and drivers, to budgets and packing, to arrival and orientation, to day-by-day guidance of what to do and when and how to do it, and how to have the full experience. You will have everything you need to make your own great trip, yet you will keep your freedom too. Yes, you can afford to take the first of these trips, through some combination of saving and priority shifting. If taking the entire 15-day version of the trip is beyond reach, timewise and otherwise, then find a way to take half the trip in 8 days and save the other half for later. And, no, you cannot “afford not to.” These are the trips of a lifetime that will become part of you and will change forever how you see life and the world. By making these trips, you will bring home stories and treasures, as well as changes in how you live your life from day to day. Take it from a pair of habitual travelers… From Tremezzo on Lake Como, we brought home from market day the tablecloth we now use when we eat lunch in the little Italian Trattoria we have set up on our front porch. Many days we enjoy sea bass in a lemon butter sauce, with fresh spinach lightly sautéed in olive oil, just the way we liked it when we were sitting at a lake-side restaurant in Bellagio. We take time out from our busy work days to sit outside talking and laughing together, looking out across our front gardens, in the contented style we brought home with us from Italy and from France. And we turn on music first thing every morning, another habit change we adopted from our travels. Once your perspectives and views have been broadened by travel, your eyes will be opened, and there will be no going back… nor would you want to. “As you grow older, you’ll find the only things you regret are the things you didn’t do” (Zachary Scott). I enjoyed listening to the authors’s tips on traveling. They were enthusiastic and well-versed in their subject. I have never gone on a tour, usually go by myself, and do it on a shoestring budget. The book still provides useful information. I have been robbed in Guatemala and scammed in Delhi and Mumbi, but that can happen in a big city. 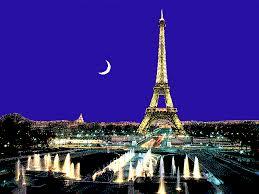 One learns from their mistakes, but Your Great Trip to France will eliminate or lessen your learning experiences. Want to Take an Unforgettable Trip???? TripWpAdmin on Want to Take an Unforgettable Trip???? Catherine Sadler on Want to Take an Unforgettable Trip??? ?